The guest speaker for the luncheon was Kayleen McCabe from the DIY television series “Rescue Renovation." 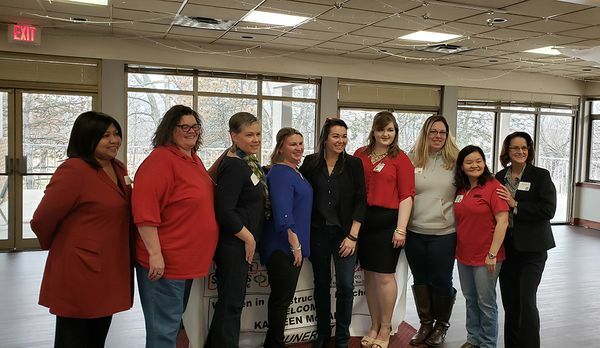 Kayleen spoke on the importance of highlighting the hard work that women are contributing to the construction and trade industries, and how women can continue to advance their careers in the industry. The mission of Women in Construction (WIC) Week is to further the success of women within the industry and emphasize the growing role of women within the industry. WIC Week highlights women as an integral component of the construction industry, and encourages others to recognize construction as a viable, profitable career field. Women in Construction week is about empowering our current female workforce, opening the doors for the future women of construction, and diversifying our workforce to increase our labor pool and advance the industry as a whole.